While it will still look essentially the same as it does now (a few aesthetic updates notwithstanding), the new technologies in the latest Accord really will change the way that drivers are able to interact with their automobiles. This car will, for example, be the first Honda model in history to offer both Apple CarPlay and Android Auto, both of which allow for hands-free control of some apps on the two most popular smartphone operating systems in the country. There already are ways to integrate iPhones and Android devices in vehicles, but this will make them even more interactive and easy to use than ever before. Beyond that, Honda also is introducing a new suite of safety features they’re calling Honda Sensing, which will be made available as an option on all Accord models except for the Touring, on which they will be standard. This suite of features includes Collision Mitigation Braking System with Forward Collision Warning, Lane Keeping Assist, Road Departure Mitigation with Lane Departure Warning and Adaptive Cruise Control, and they all will work together to help make San Diego Honda drivers as safe as they possibly can be behind the wheel of Honda vehicles. 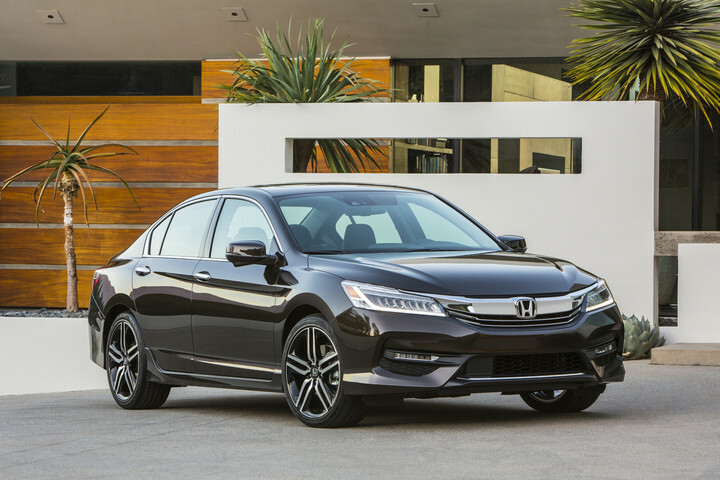 More information about this car will be released in the coming weeks and months, but already this is more than enough to get us really excited about the upcoming refresh of the 2016 Honda Accord. For the new generation of development is increasingly becoming an interesting story.